Jet Set Smart: ROZMARYN RESTAURANT- TRENTON, N.J.
A couple of weeks ago, I was reminded of the saying "Don't judge a book by it's cover," when we went to check out Rozmaryn (pronounced rose-MAH-rin) Restaurant in Trenton, New Jersey for dinner! If I would have based my review from how it looks on the outside, I may not have enjoyed the amazing food that is served inside. We decided to check out this Polish restaurant (open since 2009) in Trenton after my sister-in-law got us tickets for us and our four kids (two are hers) to see Disney On Ice: Princes and Princesses at the Sun Center in Trenton. This place gets great ratings on Yelp, and we love Polish food, so we figured it was a worth a shot. Besides, I always love going to a place (be it a restaurant, a store, or a town) that makes me feel as if I've jet setted to the actual location. And once inside Rozmaryn Restaurant, you truly feel as though you have traveled to Poland and are eating in a family's home there! We ordered cheese and potato pierogies, potato pancakes, kielbasa, and a Polish beef stew. Everything was better than delicious, but the one thing that was out of this world was the potato pancakes!!! Mouth watering, light and crispy...just perfect! Some other things to note: Rozmaryn is BYOB and accepts most credit cards. 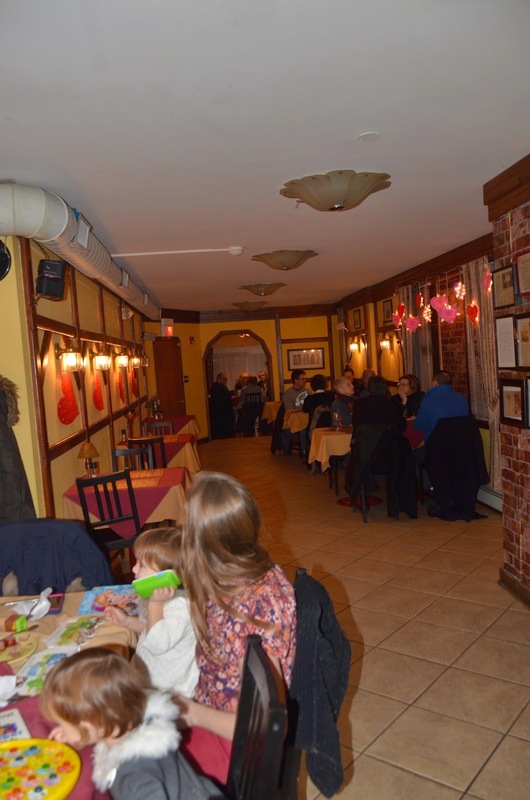 Bottom line, if you can get to this small, 24 seat restaurant in Trenton, you will be so happy you did, and you will be planning how fast you can get back!